Ms. Loney joined Kensington Vanguard in February 2017 as a counsel in the National Commercial Division where she underwrites and closes acquisitions and financing transactions throughout the country. She applies her extensive experience and integrity to servicing all transactions in the most efficient manner possible. 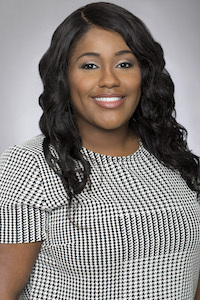 Prior to joining the company, Ms. Loney was National Transactions Counsel at New York Land Services, an underwriting division of Commonwealth Land Title Insurance Company. She began her career in the real estate industry in 2001 at Friedman, Krauss & Zlotolow, LLP and worked as a real estate paralegal until her admission to the New York Bar in 2012. A proponent of pro bono, Ms. Loney advises pro se clients on a myriad of issues with the New York County Lawyer's Association's Legal Counseling Project, and volunteers in the Landlord and Tenant Court. In October 2017, she was honored by The New York County Lawyer's Association, New York State Bar Association, the Office of Justice Initiatives and New York State Civil Court for her service. In 2015 she accepted an invitation to guest lecture a Real Estate Transactions class at Baruch College. A graduate of the Jacob D. Fuchsberg Law Center at Touro College, Kashima was a staff member and published author of the Touro Law Review; the Essay’s Editor of the Touro International Law Review; and the Research Chair of the 2010-11 National Black Law Students Association Amicus Curiae Program. Kashima earned her B.A. from John Jay College of Criminal Justice and holds certificates in Dispute Resolution, International Commercial Law, and Financial Markets. She is also an active member of the New York State Bar Association, New York County Lawyer’s Association, and Metropolitan Black Bar Association. © 2019 KENSINGTON VANGUARD NATIONAL LAND SERVICES. ALL RIGHTS RESERVED. To place an order please enter your username and secure password below. If you do not have login information, please contact us at 212.532.8686	.